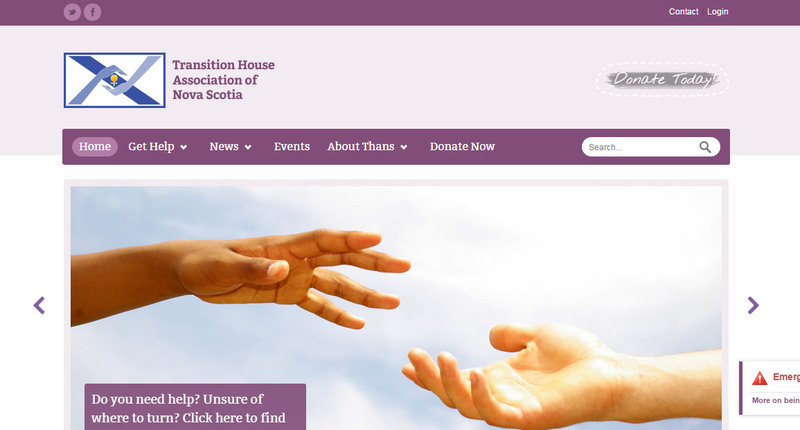 The Transition House Association of Nova Scotia is a feminist organization that works at the provincial level on behalf of women—specifically, but not exclusively, victims of intimate partner violence—and the member organizations who work with and fight for them each day. THANS website was chalk full of content but the site’s core had not been updated to keep up with their needs. They asked us to overhaul their website, adding functionality with a focus on achieving specific objectives. Assessed communications objectives, existing content, and functionality requirements. Slight logo refresh and implemented basic look and feel to client specifications.